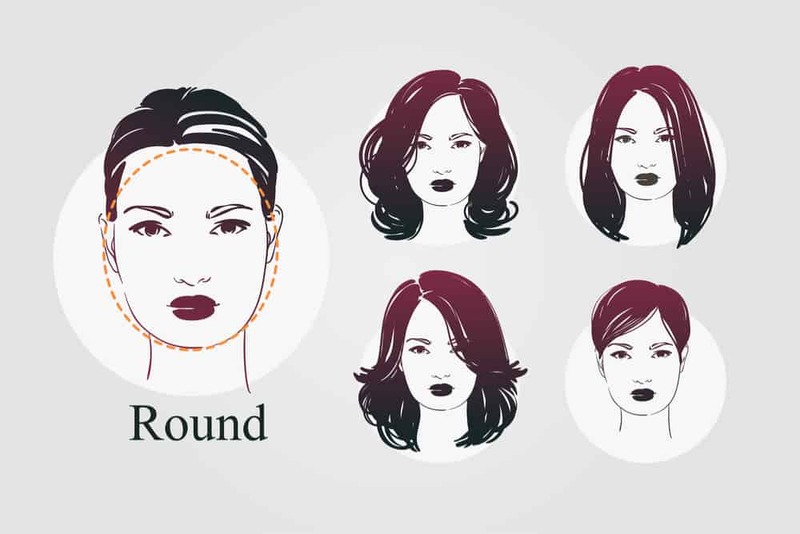 While your face shape doesn’t entirely dictate the hairstyle or cut you get, it is a factor. This is why we include a menu for face type so you can check out many galleries and hundreds of hairstyles by face shape. 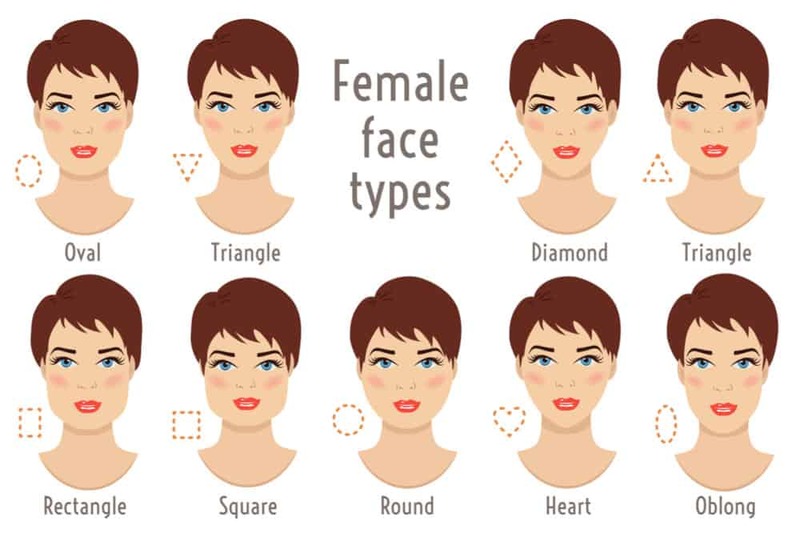 At the end of the day, there are 9 main face shapes. That said, many people have a combination of types; in other words not everyone can be pigeonholed entirely into one shape. The above illustration showcases all 9 very well. Below we get into more detail including more illustrations and examples. See our women’s round face hairstyles gallery here. Here’s a detailed illustration of the round face with different haircuts. As you can see, a round face nicely accommodates all hair lengths and many different styles. This type is widest half-way up the face and rounds out at top and bottom of the head. Center parts: This helps give appearance of a longer face. Side-sweep: This draws the eyes across and down which minimizes roundness. 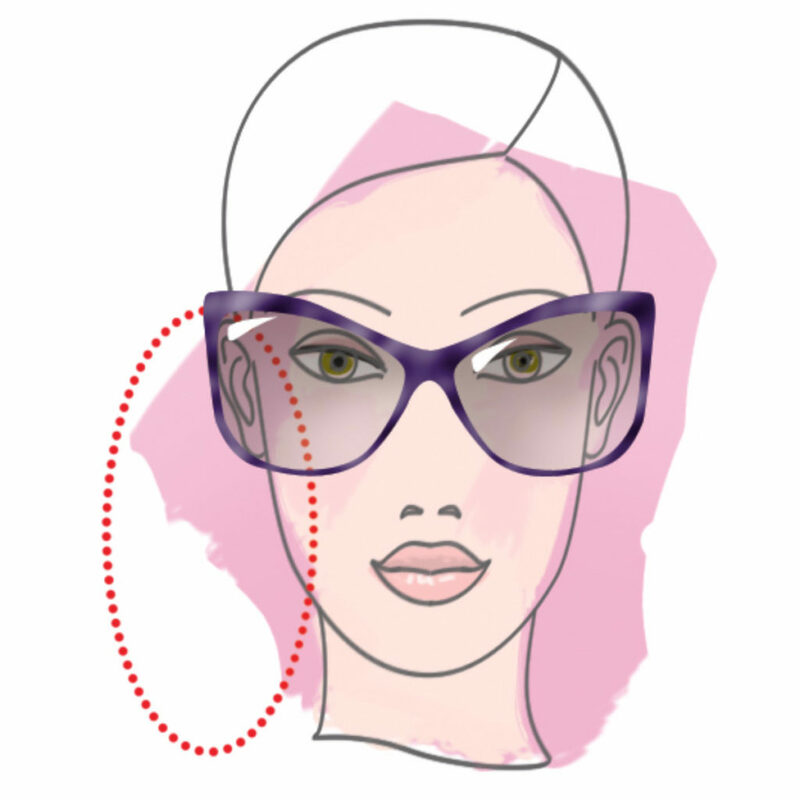 Around the face: cuts that fall around the face can emphasize the round face which can look good in some instance. Visit our oval faces hairstyles gallery here. 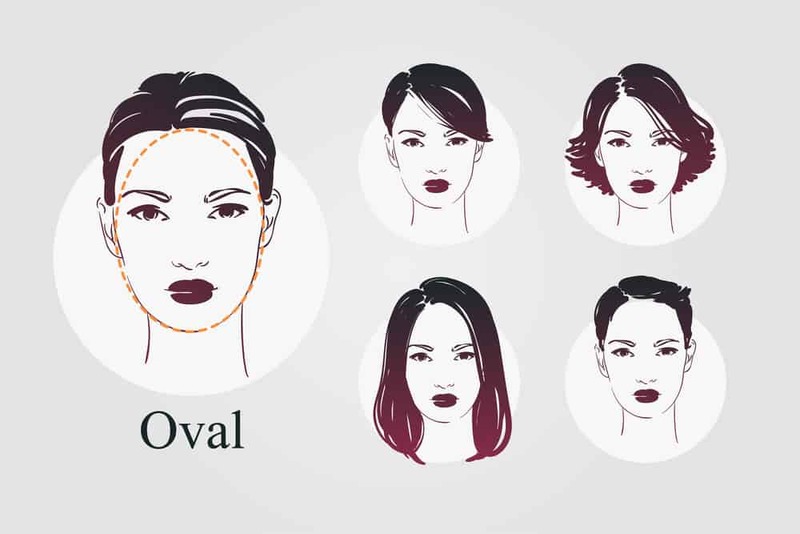 Above is an illustration of an oval face accompanied with examples of different hairstyles for an oval face. Waves: Waves provide width to an otherwise narrow face. Curved bangs: Again, the curve in hair widens the look of the face. Side sweep: A side-sweep widens the face. 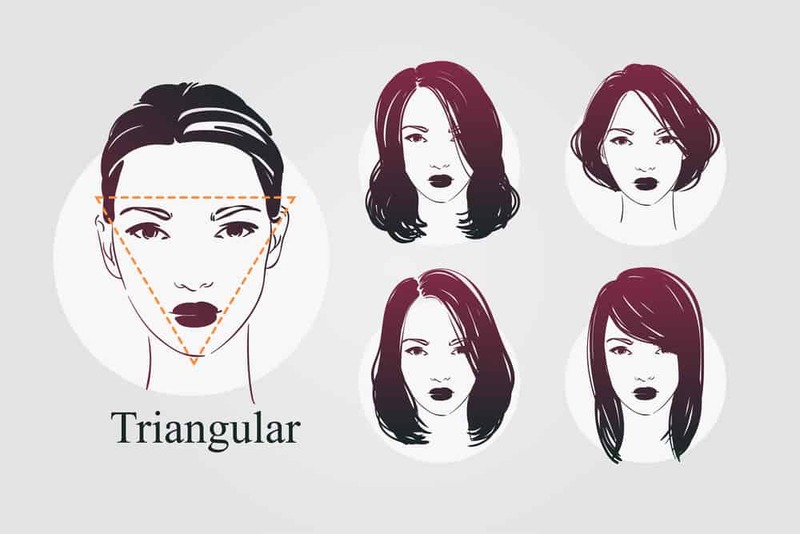 Above is our illustration showcasing an inverted triangle face shape along with how different hairstyles look on this face shape. This shape is similar to the heart-shaped face (except heart-shaped has a widow’s peak), but it’s not as soft. The wider upper facial area is more pronounced. The goal is to minimize the wider forehead. The following achieves. 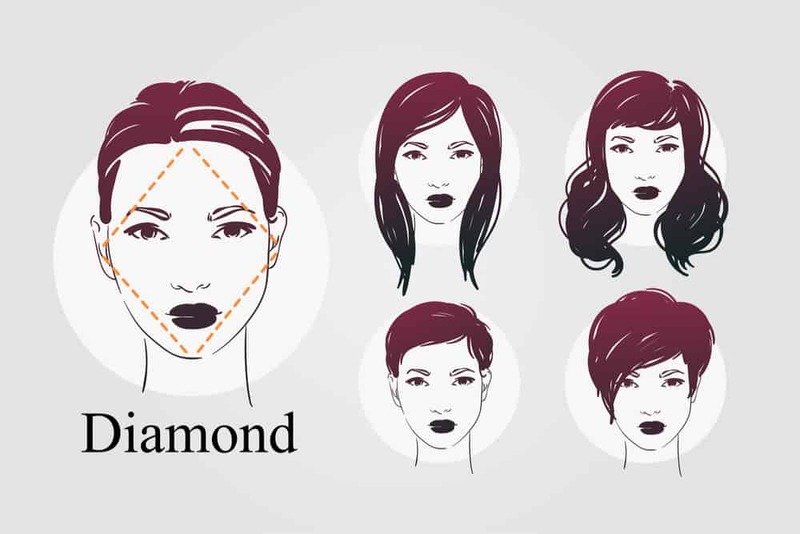 Above is an illustration of a diamond face shape along with how different hairstyles and lengths look on this face type. 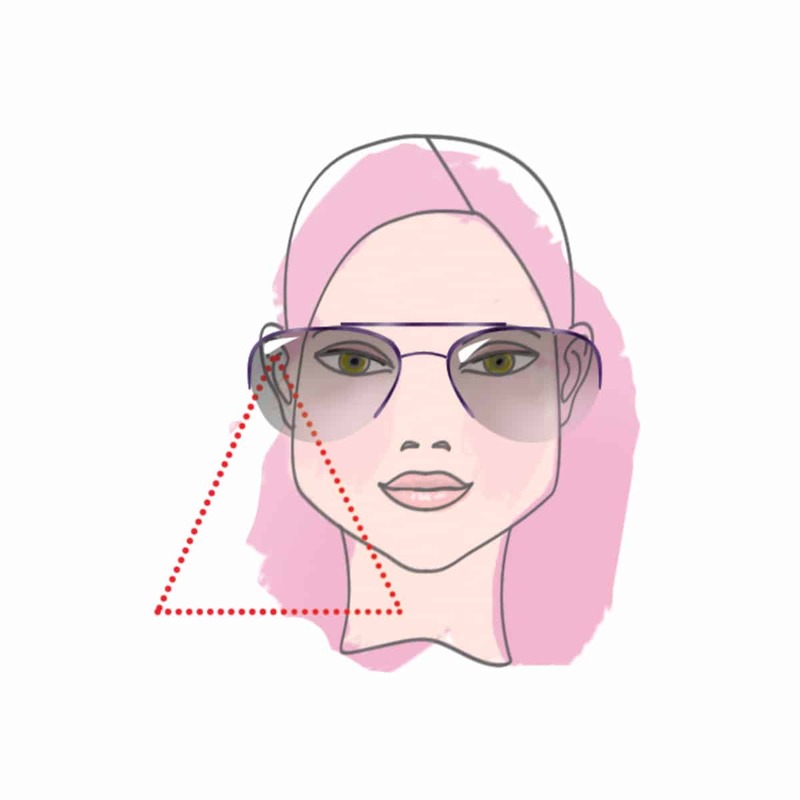 Here’s an example of an upright triangle face shape. 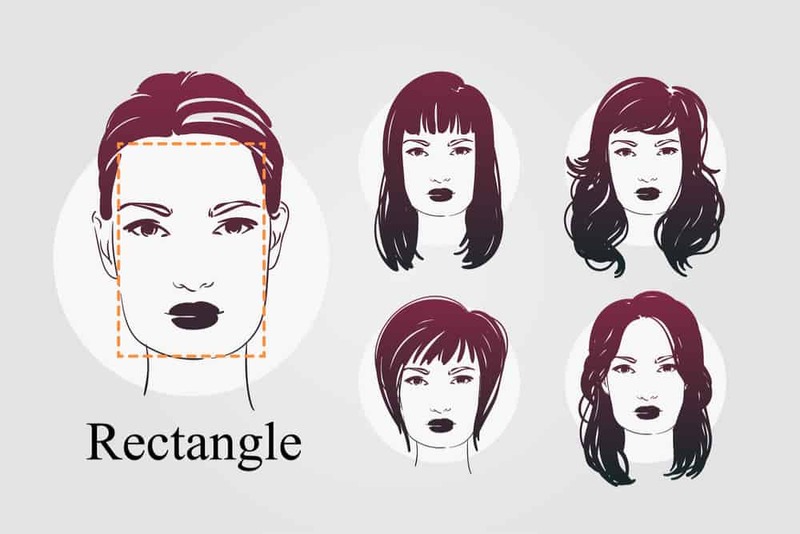 Above is an illustrated example of a woman with a rectangular face type along with examples of how different haircuts look on this shape. See our extensive gallery of hairstyles for women with a square face shape. 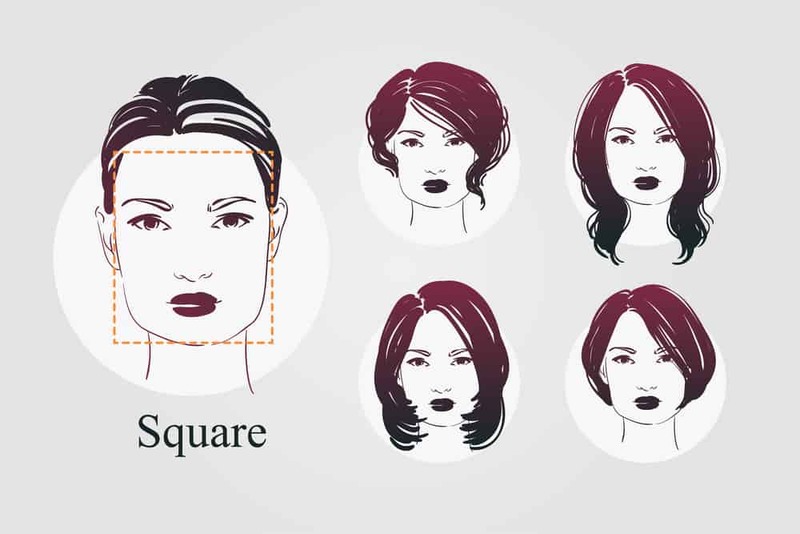 Here’s an example of what a square face type looks like along with examples of different hairstyles on this shape of face. 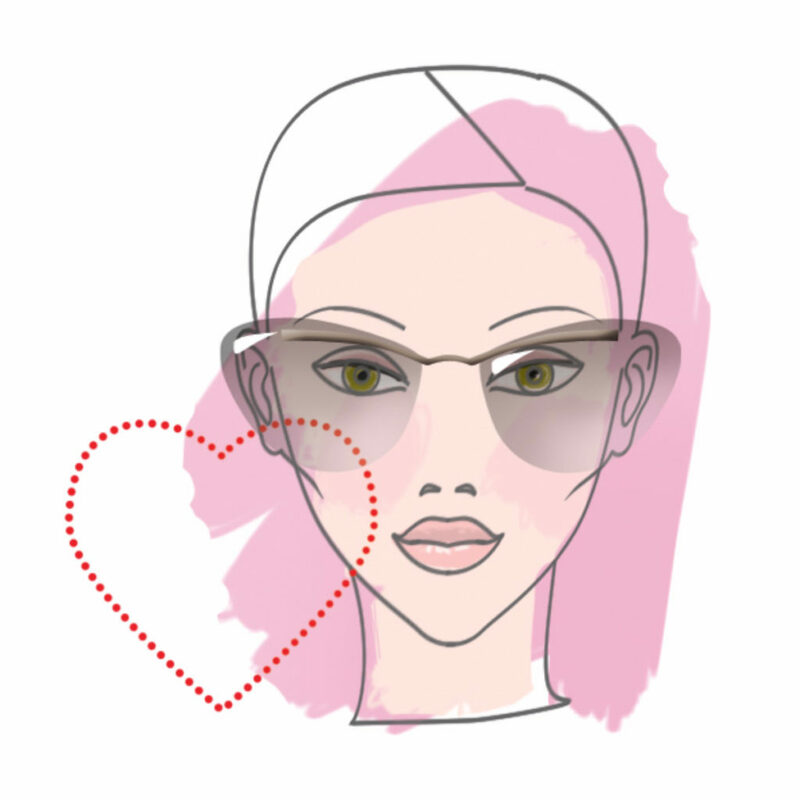 The heart-shaped face is a curvier version of the inverted triangle type. The heart shaped face is distinguished from inverted triangle by the fact the heart-shaped has a widow’s peak. The oblong face is the longest of the face shapes – tall and narrow.